Fabric softeners aren’t a necessity but they can have a number of benefits like keeping fabrics soft so they last longer, making ironing a hell of a lot easier and leaving your laundry smelling fantastic. 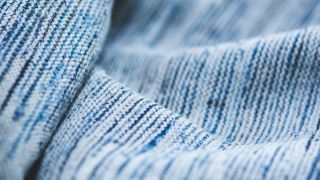 Fabric softeners are particularly good for larger items like towels and bedding, but can be equally as useful in your daily washing loads, too. There are a few things to consider before you start using a new fabric softener, and if you find you have sensitive skin when it comes to laundry detergent, you’ll need to be careful what product you choose. Ecover Fabric Softener Apple Blossom & Almond is designed for sensitive skin as it’s made with biodegradable ingredients, and Fairy Fabric Conditioner is also hypoallergenic which makes it suitable for babies. Whether it’s super softness or less creases you’re after, we’ve rounded up a range of the best fabric softeners to suit your needs. Check out our list below to find out what’s best for you. Tumble drying clothes can leave them full of static, not to mention full of creases which then means you have a whole pile of ironing to tackle as well. These handy sheets can simply be popped in with your drying to help reduce creases and soften your clothes in the process. This means you can cut down on chores and have fantastic smelling laundry in one simple step. With 80 sheets in a box, you’ll have fresh smelling clothes for months! This liquid fabric softener works hard to get rid of stubborn stains while the essential oils ensure your laundry is super soft and smelling great every time. Users love the smell of this product, and you can also buy a detergent with the same scent. It has been noted that the smell can be lost when clothes go in the dryer, but if you pour some of this into a sponge and place in the dryer, you can expect that scent to stick around nicely. A lot of fabric softeners can be quite heavily perfumed which is a nightmare for delicate skin. However, Fairy’s fabric conditioner is designed to be hypoallergenic and has been dermatologically tested. Not only is it kind to skin but users are impressed with the softness of their clothes after use. The fragrance isn’t too strong but you can expect your clothes to have a certain freshness that they wouldn’t otherwise have with just detergent. If it’s comfort that you’re after then this fabric softener is designed to soften the fabric fibres which not only make them feel super soft, but reduce drying time and reduce creases so you’ll have less ironing to do. The formula also provides protection against odours so your clothes will stay smelling fresher for longer, and it will eliminate creases by helping your clothes dry quicker. This fabric softener smells great while remaining kind to sensitive skin. With all natural plant based, biodegradable ingredients, this product is kind to skin and to the earth and naturally softens your laundry without any harsh chemicals. It also helps to reduce static in your clothing for easy ironing or no ironing at all! If you don’t like the idea of adding yet more chemicals to your laundry, then these dryer balls are a great alternative to help keep your laundry feeling soft. Simply pop them in your tumble dryer with your clothes and the spiky balls work to separate clothing which reduces drying time and also gets rid of excessive creasing, meaning less work for you. The best thing is, these are reusable so simply leave them in your dryer for soft and comfy clothing time and time again.